This past year Foam Engineers, expert contractors in insulation, completed a spray foam job in the St. Louis area. Our client is the owner of a lawn care business. 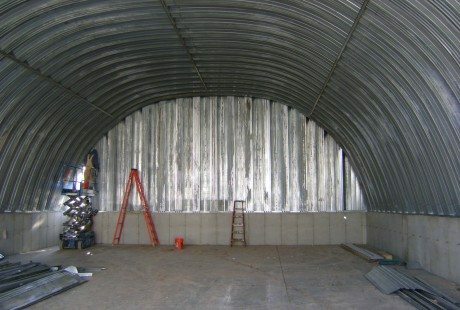 The business has a quonset hut that they use to store the many materials, tools, and equipment they need for their work. They also use the space for any equipment maintenance and repairs that are needed. 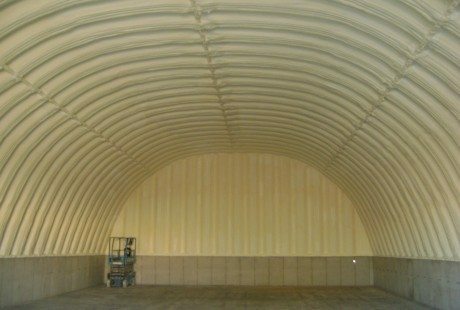 A client in St. Louis asked Foam Engineers to create a custom insulation proposal for their quonset hut. The lightweight corrugated structure was great for storage but did not offer comfort to workers in hot and cold weather. 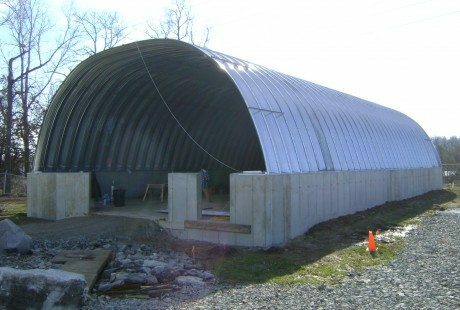 While the lightweight galvanized structure provided shelter from the elements, it was uncomfortable for workers during the hot summer and cold winter months. Further, there was danger of supplies freezing during the winter. Foam Engineers worked with the client to create a custom insulation solution to maximize the effectiveness of their space. The client chose closed-cell spray foam for the job. Closed-cell foam provides a dense, high R-value insulation around the corrugated portion of the enclosure. It will also prevent any condensation from forming and dripping inside the building. All cracks and gaps are sealed with the foam and allow the space to be conditioned economically. 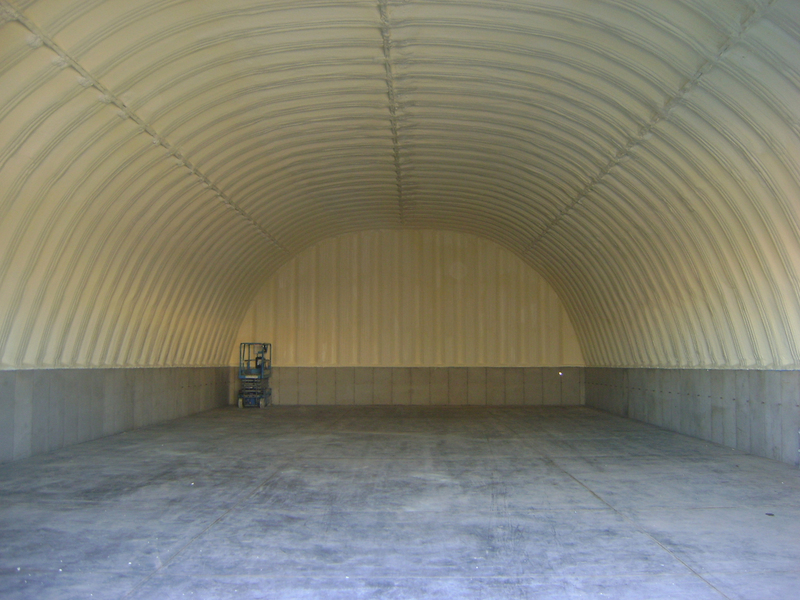 Now the client has a well insulated structure that provides both shelter and comfort for equipment and workers. 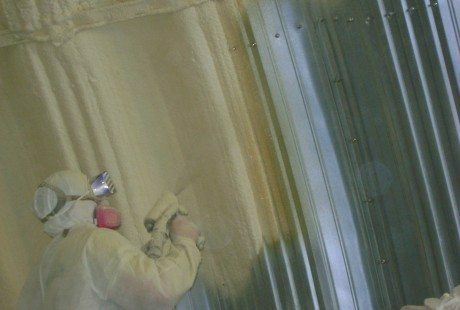 Foam Engineers applies closed-cell spray foam insulation to the interior metal structure. Spray foam quickly expands, filling all gaps and voids. The Final Product: the metal interior is completely sealed and insulated with closed-cell spray foam, ensuring there will be no air leakage outside the building.